I love that ideas can come from anywhere, any time. What's fascinating is that most times you're completely unaware that it's happening, and it's only in reflecting on your collection of experiences that those sources come to light. 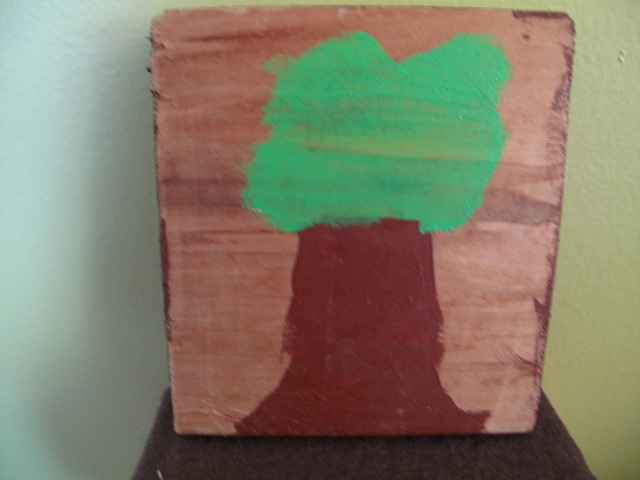 This is a painting on wood that my daughter made when she was little. It is so simple, so clear, so uncomplicated. 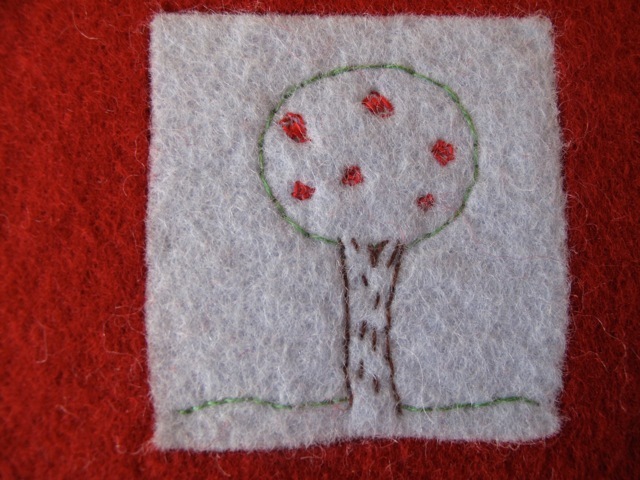 It inspired one of the designs on my new journals and tea cup cozies that will be a part of the Kata Golda 2012–2013 catalog. Acknowledging that something from years ago is influencing my work today is a gentle reminder to pay attention in the moment, to savor and participate. 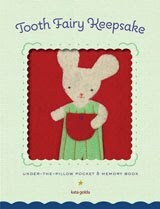 Look in the new Summer 2011 issue of Petite Purls for Kata Golda's tutorial on how to sew an egg-shaped chick from felt. Kata Golda creates unique gifts for children and adults using a combination of wool felt, hand stitching, and letterpress printing. Prefer to receive a print catalog? The 2012-2013 Kata Golda catalog has over 60 pages of full color photographs and features the entire new collection. 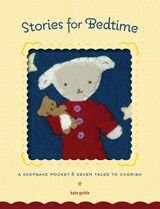 Request one today. 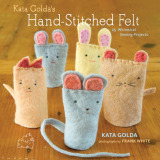 Kata Golda's Hand-Stitched Felt shows you how to make over 25 of your own Kata Golda felt projects. I've put together materials kits for most of the projects, making it easy to you started. All content copyright © Kata Golda. Powered by Blogger.